Can anyone explain about which one is easy Joomla or Drupal..
drupal is far suprior. i hate joomla with a passion. overall it's just bloated and sloppy. Drupal is extremely powerful, it is functionality wise the superior candidate. However it has a very bad learning curve, I have about 40 hours of experience with it and I still don't understand it very well. My learning curve for vB was like 2 hours and wordpress like 10. For me I really like to used Joomla than Drupal, I have used the Joomla for more than a year i just had notice that I gain lot of $$$$$$ since I am using this program, by the way I would to explore my knowledge about Drupal someday, I know that it would be a mysterious. As far as my concern i prefer Joomla as compare to Drupal. 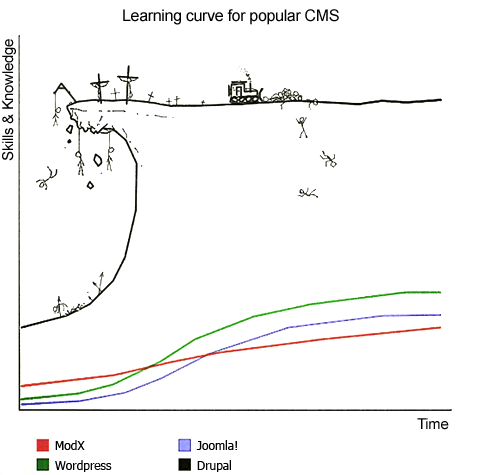 Because Joomla is really easy to handle as compared to Drupal. JOOMLA is better because it is easier to use than Drupal.